John joined Stone Key as a Partner in 2009. 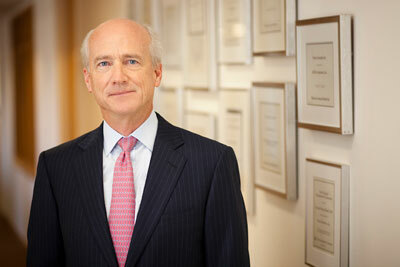 He focuses primarily on the firm’s Aerospace and Defense, Homeland Security, and Government Technology efforts. Prior to joining Stone Key, John was a managing director at CSP Associates, Inc., a leading strategic advisory and transaction diligence consulting firm focusing on the aerospace, defense, federal IT and communications markets. During his seven years at CSP, John led or was jointly responsible for over 80 engagements supporting a wide range of corporate and private equity clients. Previously, John was responsible for all merger and acquisition strategies and transaction execution for Martin Marietta and Lockheed Martin over the 15-year period from 1987 to 2002. During his corporate career he was responsible for the identification, initiation and execution of more than 25 transactions totaling over $40 billion in value. John has been a member of a wide variety of Boards of Directors in his career, including L-3 Communications, Rational Software and three international joint venture companies. John received an M.S. in Engineering Design and Economic Evaluation from the University of Colorado and a B.S. in Engineering Economic Systems from the Georgia Institute of Technology.